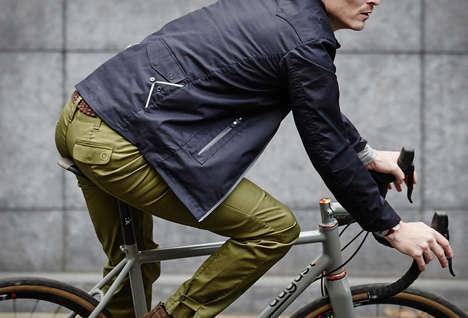 Dish & DU/ER recently launched an innovative collection of waterproof 'STAY DRY' denim in response to the "unpredictableness of west coast weather." 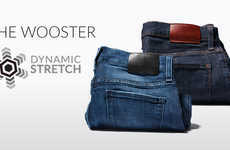 The collection includes styles in different colors and silhouettes that masquerade as ordinary denim trousers, yet each contains high-performance features to protect its wearer from spills, stains, dirt, oil as well as unfavorable weather conditions such as extreme wetness. Rainshield is the technology that Dish & DU/ER uses to give this denim collection its water-repelling properties in the form of an environmentally friendly and biodegradable application. 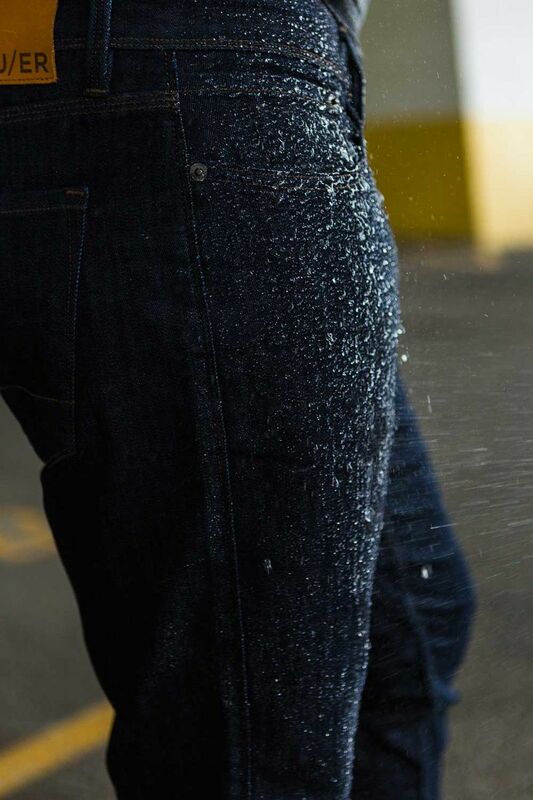 Just like any other product that acts as a water repellant, these unique pairs of pants simply have droplets of water bounce off of their surface. On top of this, the design includes other thoughtful design features, such as an invisible seat suggest, which means that activities like cycling are not inhibited by restrictive and uncomfortably placed seams.